One of the greatest achievements you have made is acquiring an inflatable boat. You’re now ready to explore the waters and create memories with your buddies as you go about fishing. However, there are still some things to learn about inflatable boats before going about fishing which you can learn from The Marine Lab’s inflatable boat recommendations. That said, let’s look at what fishing with your new inflatable boat may involve. 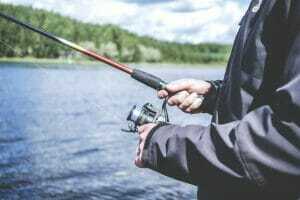 The leading question to address may be whether everyone in your team has a fishing license. Every state has their own fishing rules and regulations which each of the members in your group should be aware of, at the core being the possession of a fishing license. It’s crucial to take note that as the owner of the inflatable boat you’re responsible for every fish, everyone and everything that happens in your boat. Be informed that a Forest Ranger, Game or Fish Ranger will show up during your adventures and the first thing they will ask for is a fishing license for every member in your group. They will most likely follow to check whether other vital items such as the inflatable boat registration and flotation devices are present. The next crucial item on the list is the Bag Limit and Possession Limit. Once you have gone through the state’s laws and regulations it’s vital to download and print the Bag Limit and the Possession Limit for your group, which primarily refer to the number of fish within a specific species that an individual may keep and the fish that an individual may have in transit at any given time respectively. 1. The lake size which may determine whether you need more than one battery. 7. Check on whether there are live baits or no live bait rules. Unlike a pond, a lake is deep enough to hinder the penetration of sunlight to the bottom. Lakes are larger than ponds. Lakes and ponds have a universal similarity in that bother are small bodies of water that may be natural or man-made. It is, however, worth noting the difference in shallowness and depth. Note that some states have different rules and regulations for fishing in ponds and lakes. This will help you when going out fishing in different areas. It is crucial to be aware so that you do not confuse small water lakes with ponds and end up breaking the relating rules and regulations. In conclusion, before going out on your fishing exploration with your new Inflatable boat take some time to familiarize with every detail and ensure you have everything that’s needed. This will give you a chance to enjoy your fishing adventure to the fullness. The articles on this blog are getting generic…some of them seem to be written by people that have no idea what they are talking about. I guess that blog content has become a “quantity over quality” game now.